A recent report released by the Centers for Disease Control and Prevention paints a clear picture: needle-exchange programs under which addicts exchange dirty syringes for clean ones prevent the transmission of HIV. The report comes on the heels of an outbreak (more than 70 cases of viral contagion) earlier this year of IV-drug-induced HIV in Scott County, IN. That spurred Gov. Mike Pence to reverse his position on needle exchanges in the county. Now, according to the CDC, needle sharing has dramatically decreased since the program's launch in April. The CDC's Monita Patel and colleagues examined data from 100 clients who visited the exchange site more than once between April and June. They found that needle sharing dropped by 85 percent, beginning with 34 clients who said they have shared used syringes, and ending with only five clients who reported sharing needles between those months. Experts say Indiana's outbreak has served as a warning to rural America and beyond. Similarly, a recent ban reversal on funding needle-exchange programs in Washington, D.C. has had tremendous outcomes. According to a recent study from George Washington University, the program, which started two years ago, prevented 120 new cases of HIV in the nation's capital. Since 1988, federal law has forbidden the funding of needle-exchange programs. However, there is zero evidence that the harm-reduction tactic enables drug addicts to keep using, as opponents fear. Worse yet, Washington was not able to use its own money to fund the programs until 2007, since the federal government oversaw its budget. Other local governments could, and did utilize state money to do so. For the Washington study, published in the journal AIDS and Behavior, researchers looked at a prediction model of how many infections would have occurred had the ban remained in effect. Then they looked at how many cases of HIV infection occurred after the program's start, and the numbers were 296 and 176 respectively a difference of 120. They also calculated the lifetime cost of treating 120 patients with HIV, which came to $44 million. Nationwide, according to the report from the CDC, nearly eight percent (3,900) of the estimated 47,00 new HIV infections nationwide were directly attributed to injection drug use, or needle sharing. In terms of curbing the drug abuse problem, the programs remain controversial. Gov. Pence, a Republican, strongly opposed such programs, until the outbreak which was first identified in late January. It had reached epidemic proportions, prompting the governor to reverse Indiana's ban. And since Scott County started its needle-exchange program, two other counties have followed suit. 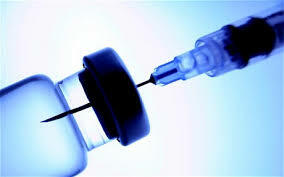 While there are disagreements, one thing opposing camps can agree on is this: the needle-exchange programs are effective in preventing the spread of HIV and hepatitis C.
Some opponents have argued that taxpayer money needn't be used to supply drug users with syringes, and that priority needs to be shifted from treatment, to prevention. But until solid public policy measures are in place to remedy the drug abuse problem nationwide, we at the American Council commend officials like Gov. Pence, who set aside his personal opposition to the practice to do what's right in the name of public health.